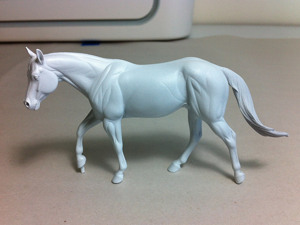 Yesterday I prepped my Little Lonestar resin for painting, and let him dry overnight. Today: time to paint! I'm using an Iwata HP-C airbrush. 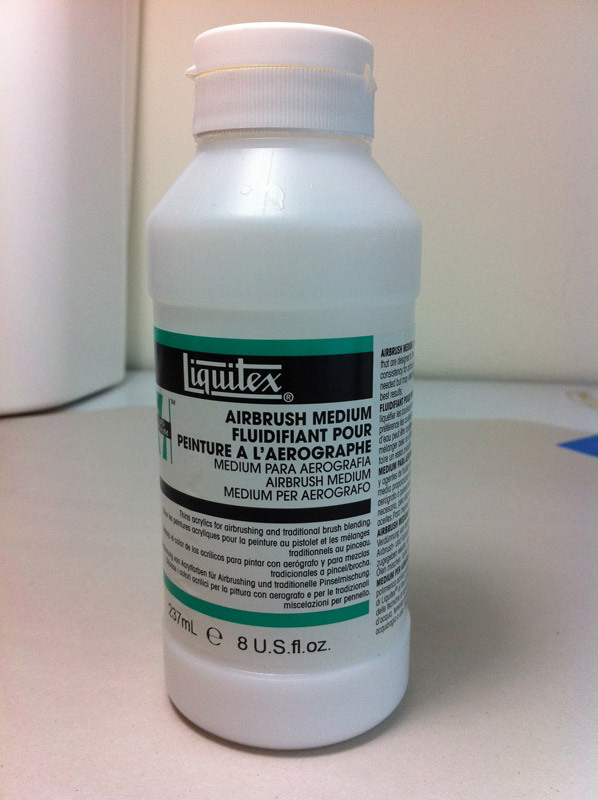 I've had this airbrush for many, many years, and painted lots of horses with it. Sometimes it's a bit cranky, but it's a reliable workhorse and I expect it may last me forever. I'm painting with Jo Sonja acrylic gouache. 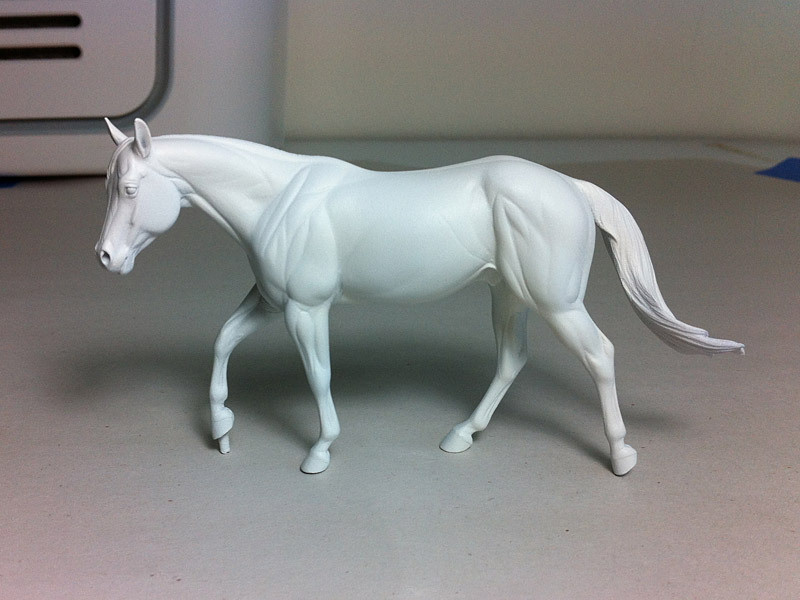 Their soft matte colors used to be quite the rage in the model horse hobby. I've been tempted to try my hand at oil painting a model again because I think oil colors are richer, but there's a lot to be said for the instant gratification of airbrushing. 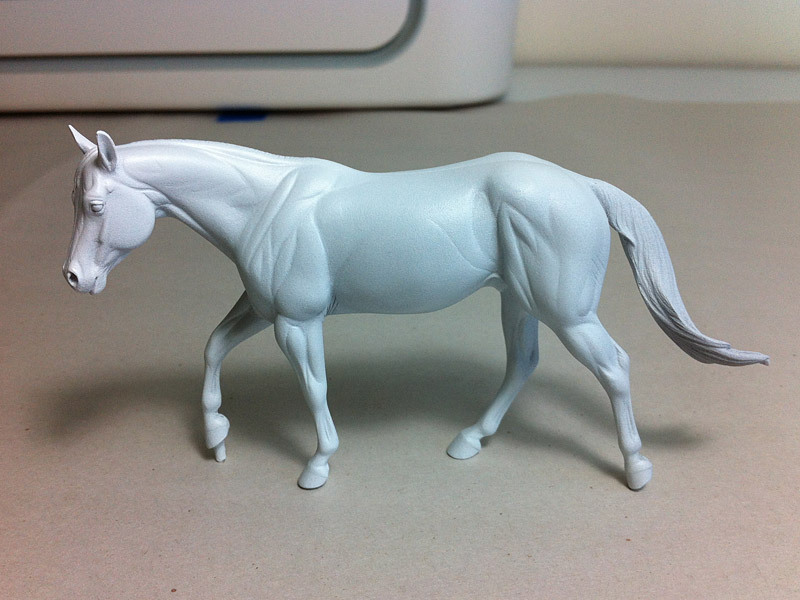 Probably either would work well, but the Warm White looks a bit more yellowish, so I may save it for a palomino or sorrel-colored basecoat. 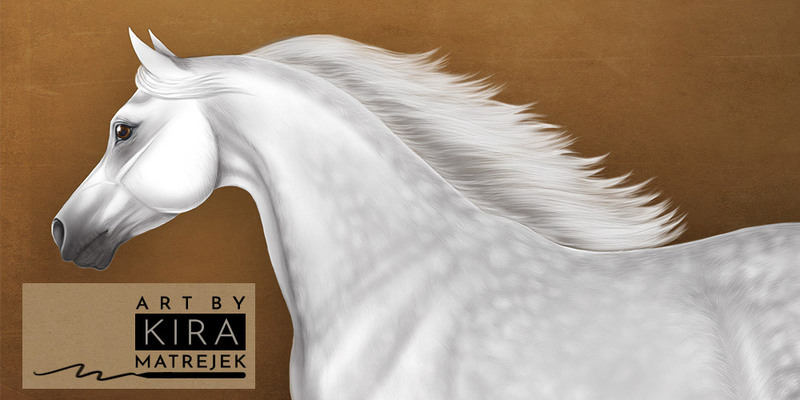 This guy is going to be a paint horse with lots of white markings, so I decided to go with the slightly redder mix on the left. Looking good! Now I have to let this dry overnight again, because the next step is to add masking tape where I want the white to stay white. 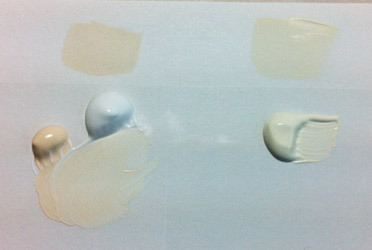 And if you apply mask to paint that's not fully dry, you can end up pulling up paint when you remove the mask.